Our views of actual existing attributes. "It is a worldview that acknowledges the inherent value of nonhuman life. All living beings are members of ecological communities bound together in a network of interdependencies. When his deep ecological perception becomes part of our daily awareness, a radically new system of ethics emerges." Fritjof Capra, The Web of Life, p. 11. An introduction to significant concepts in the history of ideas that shape our lives. Worldview is a German conceptual contribution, "weltanschauung," used to convey the significance of educated paradoxes in the past between ignorance and awareness. 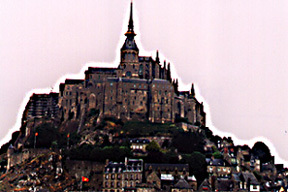 Mont Saint Michelle, Normandy, France, is a medieval monastic fortress built on an island surrounded by tidal marshes. The monastery represents a worldview that sought and found sanctuary in a transcendent belief in the redemption of humankind from indelible sin and enduring darkness lit only by the grace of an incarnate deity. worldview or weltanschauung; refers to the beliefs that a people have about reality, during a certain period in history, when compared to the actual conditions of their existence. explains how ignorance feeds superstition in the past and now. reveals how ideas, faith and concepts change based on new evidence. helps us understand how mistakes have serious consequences if not corrected. 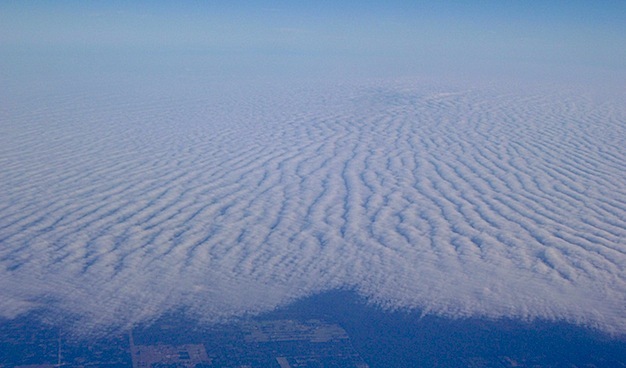 accounts for how, when and why knowledge accumulates and / or is lost over time. Several examples include ideas we associate with: Columbus, Galileo, Darwin, Freud, Einstein, and Frankl. 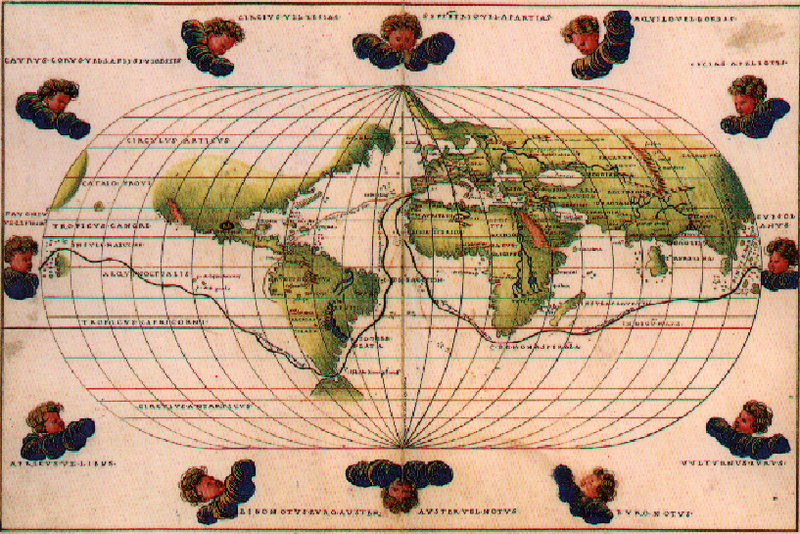 "we do not see the world as it is"
When discussing Christophoro Colombo's [Christopher Columbus'] achievements in "discovering" the "new world", historians employ the concept of worldview. They do this in order to discuss what Columbus believed he was doing when contrasted with what he actually achieved. Colombo though he found a route to Asia and believed he had landed in the East Indies south of Japan. In reality, we know that he went four times to the Bahamas, the Greater Antilles, the Lesser Antilles, the Coast of Central America and northern South America. He never went to Asia. 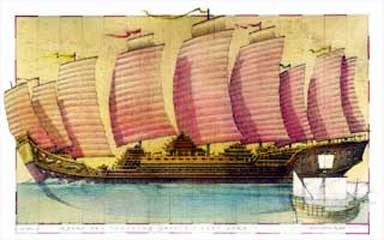 Colombo died believing he had reached China's doorstep by discovering the isles of the South China Sea. His worldview was a great odds with his achievement. Many Europeans at the time could neither confirm nor deny Colombo's assertions of his fleet having reached Japan, Indonesia, or the East Indies of Asia because they shared a distinctly confining view of the world. 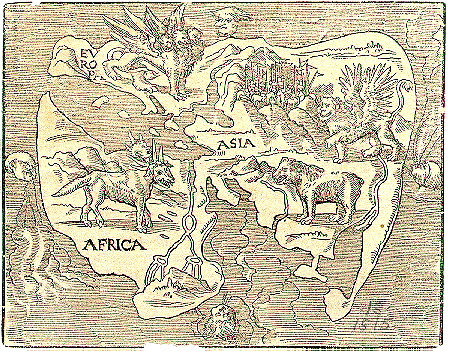 The map below symbolizes how they understood the globe in the early 1500s. Using the concept of worldview to see the tension in events. we believe and what actually is. "sailed the ocean blue, in 1492." sailed west over the Atlantic to the Caribbean Sea. western sea route to Asia. Western sea route to South and Central America. isles of the South China Sea. Isles of the West Indies, greater and lesser Antilles. discovered the new world. enslaved indigenous people to search for gold. Spread the word of the Catholic God among the savages. brought European diseases, animals, plants and political orders to the Americas. Magellan's fleet 1521-22, completely circled the planet, proving the Earth was a sphere, though it appears flat to the person observing it on the surface. as a picture of the universe in which we came to exist. Diagram depicting the changes in beliefs from Medieval to modern Mechanistic, and then to the quantum ideas of the present. Thomas Kuhn used the term paradigm shift to explain the significant changes in scientific thinking with regards to ideas in astronomy, chemistry and, physics from 1543 until 1859. 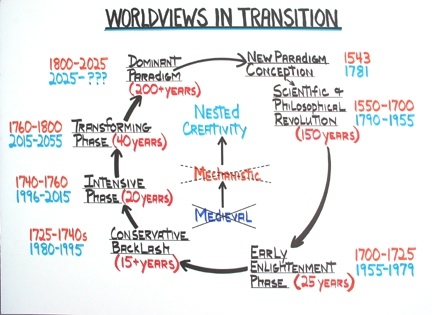 The drawing above "Worldviews in Transition" utilizes the concept in a cycle depicting the gradual replacement of one set of assumptions and tested observations about the world by a contradicting vision, view point, or "weltanschauung." 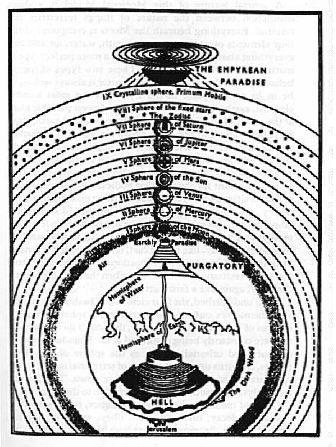 Einstein's vision of spacetime contrasted with Dante's vision of the Earth in the cosmos. Over six hundred years separate these thinkers with inconsolably divergent views. Dante Alighieri – 1265 to 1321, and Albert Einstein – 1879 to 1955. Or Charles Darwin and William Herschel. Anschauung is German for word for sense perception or view derived in 1856 from the term "look at," related to "shown." Sigmund Freud at the end of World War One wrote an essay concerning the utility and characteristics of any weltanschauung. 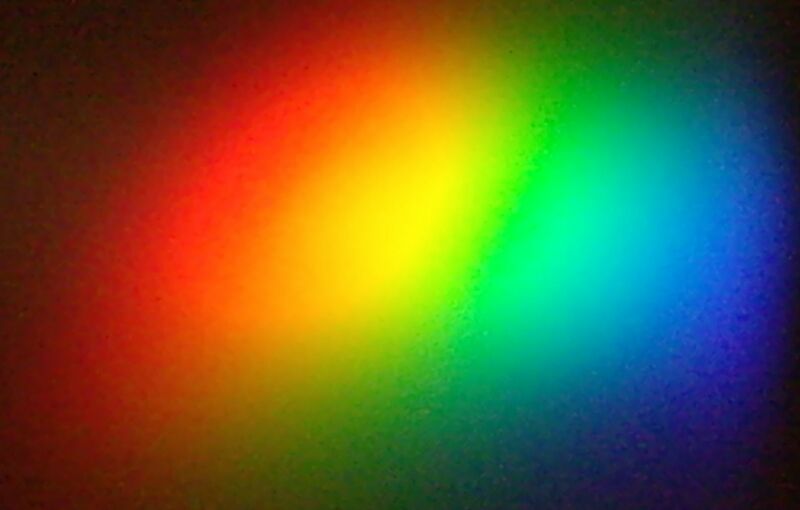 The actual universe in spite of our social, personal, and irrational prejudices to the contrary notwithstanding is beyond our capacity to describe, explain or envision. Any worldview – or a combined personal and social understanding of reality – is based on a pattern that forms a pattern language, or paradigm. "The intellectual revolution generated by Darwin went far beyond the confines of biology, causing the overthrow of some of the most basic beliefs of his age. For example, Darwin refuted the belief in the individual creation of each species, establishing in its place the concept that all life descended from a common ancestor. By extension, he introduced the idea that humans were not the special products of creation but evolved according to principles that operate everywhere else in the living world Darwin upset current notions of a perfectly designed, benign natural world and substituted in their place the concept of a struggle for survival. Victorian notions of progress and perfectibility were seriously undermined by Darwin's demonstration that evolution brings about change and adaptation, but it does not necessarily lead to progress, and it never leads to perfection. Ernst Mayr, One Long Argument, pp. 1-2. This pattern language involves some lessons on how to interpret the world and alter our ideas about the world, when we discover that we are biased, prejudiced or just prone to errors. How do we really know about the certainty of things? Methodology is the means we use to verify what we know. The concept of worldview implies that some, if not all, of what we believe today will be eventually revealed as nonsense in the future. Once racially prejudiced opinions that Negroes, Arabs, Jews, Japanese, or Chinese people are inferior groups of humans, were commonly accepted as revealed truth. 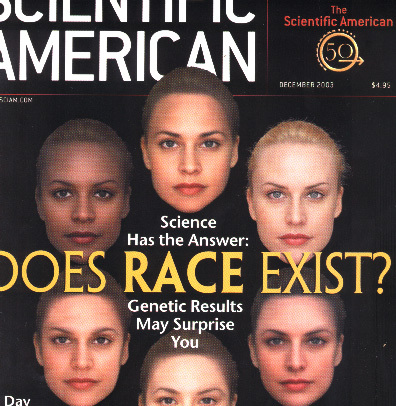 Race is a concept taken from science that has no empirical equivalent idea in social thought. There is only one human race, scientifically speaking. What are differentiated into ethnic groups are not races, despite what terms we use on forms or in conversations. The beliefs in superiority or inferiority is a subjective judgment of individuals that can not be applied to whole ethnic families of people. 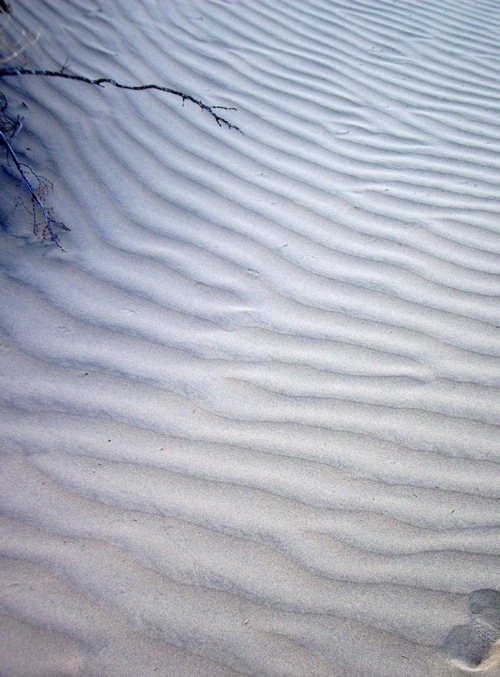 Take for example, the ideal of order – the cosmos – in the universe. The ancients believed that there were five lights in the evening skies that wandered out of the pattern to which all of the other fainter lights had been observed to follow for durations far exceeding human life-spans. Helios, Artemis, Hermes, Aphrodite, Ares, Zeus and Chronos. As they wandered certain patterns were evident to even the Babylonians who charted the sky with great accuracy dividing into degrees of arc, quadrants and declination the entire heavens that they could observe. Two of those lights, the sun and the moon, were the gods and goddesses whose movement and position in the sky governed human conditions on earth. Today we know there are nine planets countless asteroids and other bodies, such as Saturn's and Jupiter's many moons that affect earth's gravitational fields. Follies are intense but false beliefs based on incorrect impressions derived from experience. Fantasy, fiction and fanciful notions have real persuasive power to influence what we believe and how we think about things, and what we know to be true. Ghosts, unicorns, dragons, yetis, sea monsters and goblins all populate our psychic inner lives, often entertaining and frequently misinforming our intellect about what is imaginary and what is actually there. A folly is a false belief in something based on intuitive, speculative or irrational hope that what can not be may indeed become real if we only just want it to be so. Fictions are readily a part of our rational intellect. We create fictions in order to make sense of the world. The world is often bewildering. Language can tame that confusion, or words can also exacerbate the bewildering world by creating even more illusions. Fictions are agreed upon illusions that we all acknowledge in order to control the unknown, describe the complexity of experience, or otherwise organize our chaotic experiences. Some fictions are: "the market," or "Divine providence," or "Manifest Destiny," or treating corporations as legal persons. Lesson: Facts; knowing what events mean. What are events? Select any two events to compare and contrast. What have they in common, what are defining events in your lives? Meaning, according to psychologist Victor Frankl is a lifelong search that characterizes our human species in terms of what "we are capable of becoming." He argues that people mean something to themselves, and extend meaning to other people, places, things and events in our existence in order to recall, learn, adapt, and grow from certain experiences. "If we take man as he is, we make him worse"
says Frankel quoting Goethe's remarks, in a 1972 talk. Viktor Frankl was an Austrian Neurologist and psychiatrist who pioneered an approach to psychotherapy that focuses on the human "will to meaning" as a lifelong process in search of ways to reconstruct some intentional means to endure an otherwise brutal existence. His work in neuropsychology was influenced by his imprisonment in Theresienstadt, Auschwitz, and Dachau from September 25, 1942 until April 27, 1945. He wrote, of the concentration camps, "We who have come back . . . – we know: the best of us did not return." Man's Search for Meaning, 1959. p. 24. That his book, "Man's Search for Meaning" was called by Carl Rogers "one of the outstanding contributions to psychological thought in the last fifty years," is both an opinion of an expert in the field and a testimony to the importance of Frankl's work. How then can it be said that one finds meaning in the banality of evil and the absurdity of brutality that were manifest in the daily cruelties of these many Nazi death camps? Meaning then, like beauty may be in the eye of the beholder, or in the mind and intellect of the discerning observer. Victor Frankl addresses this question when he argues concerning the survivors of the death camps that "Only the man inside knows. His judgments may not be objective; his evaluations may be out of proportion. This is inevitable." In pursuit of meaning, that is to say in the defining of the purpose and significance of one's existence, it becomes evident that how we discern, decide and disclose those things we know reveals what has meaning for us and what has become meaningful in the course of experiences. By that I will suggest that some things are more or less real and these we refer to as facts, other things may or may not be real and these could be called "opinions,"(doxa in ancient Greek thought) and yet some things are fantasized and we call these phantasms – impressions ungrounded in existence but created by our imaginations. Facts then are what can be verified, agreed upon and not open to dispute. That is to say, Frankl survived the death camps and established his institute. 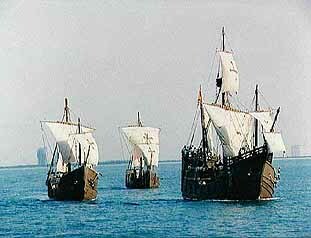 For example in 1492, Spain expelled the Moors from Grenada and Columbus set sail from Cadiz for the western Atlantic. What these facts mean is open to interpretation and hence, opinions shape what we know about facts. But does this suggest that things mean what ever we want them to mean? No, because the context of knowing requires judgment based on evidence. This is the ultimate context of all knowledge that we can extract from the unknown world in which we find ourselves immersed without ample ways to sustain our impressions: that context is populated by facts, opinions, and phantasms all of which to some degree of certainty mirror our state of mind. That is to say our emotions, our cognition, and our behavior are all parts of this state of mind. How any state of mind corresponds to actual conditions of existence is that to which "weltanschauung" refers. Lesson: grammar or the underlying structure of any language that all native speakers of that language knows, through practice, if not intuitively. The systematic description of the features of a language is also a grammar. semantics (meaning) that all native speakers of a language control by about the age of six. Lesson: syntax or the arrangement of words, phrases and clauses to convey a sense of understanding. The relation of words within sentences and among many sentences imparts a message or informs a work, lyric, or poem. The order of the letters in these above words determines what they mean and how their meanings differ from one another. Nature has different meanings due to its relation to other words and concepts. Lesson: meaning arises from the context in which words, events and ideas are embedded. This relationship among things that gives rise to meaning and thus meaning is not whatever a person arbitrarily defines as important, significant, or consequential. Colombo, for instance, was an Italian navigator who sold his services, based on an incredible faith in himself and an egotistical persuasive ability. To him the world was not as most people thought and he convinced the Spanish Crown to allow him to prove the value of his ideas about a small globe and a sea route to east Asia. From the view of the inhabitants of the island's he landed upon, Colombo and his sailors were intruding armies, with advanced technology and unforeseen infectious diseases. 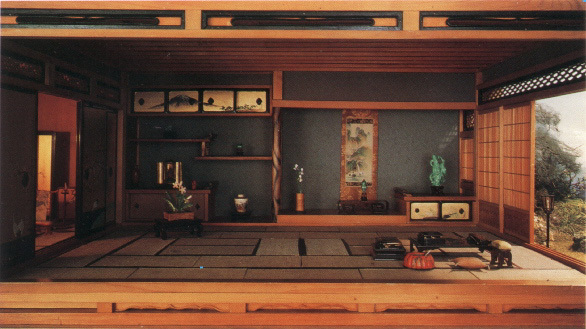 By analogy to Colombo's encounter with American Indians (yet another cultural mistake to call these people Indians after the subcontinent of India, in Asia), novelist James Clavell in the book Shogun tells the fictional story about clashing worldviews between Japanese and European peoples in the Sixteenth century. What is valued by Europeans is often held in disdain by Japanese people and vice versa. It is the context of the events and the divergent contexts of those events as interpreted in opposing cultures that gives such diametrically opposite meanings to the same facts; even those undisputed facts of great significance to our modern world. > return to top of page. Its far too easy to make mistakes. The questions you ask are more important often than the answers you give. Correcting one's errors of judgment or amending one's mistakes is the initial step in learning. Viktor Frankl Institute, Vienna, Austria. Simple definition of worldview is at @ worldvu.htm. 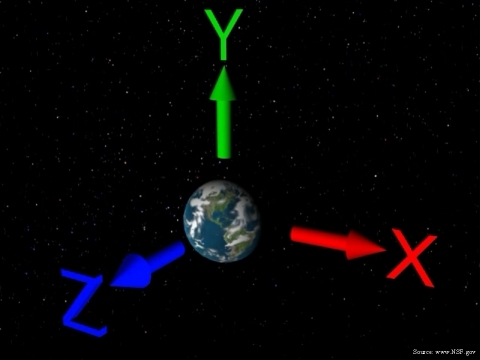 Detailed look at worldview concept: worldviews.html. Seven Lessons about worldviews is at worldview7.html . Another example of getting it all wrong: worldviews.html#Meaning.